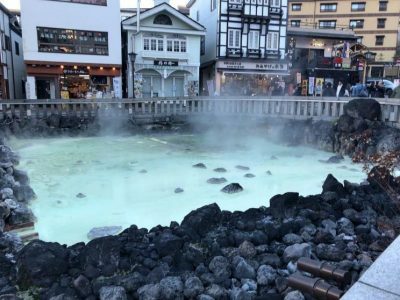 Best Things To Do in Kusatsu – The Hot Spring Area for Everyone! 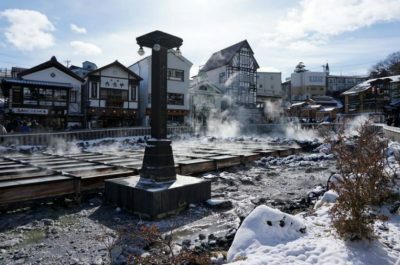 Kusatsu is a very famous spot for onsen or hot spring in Gunma Prefecture and often called as the center of attraction. 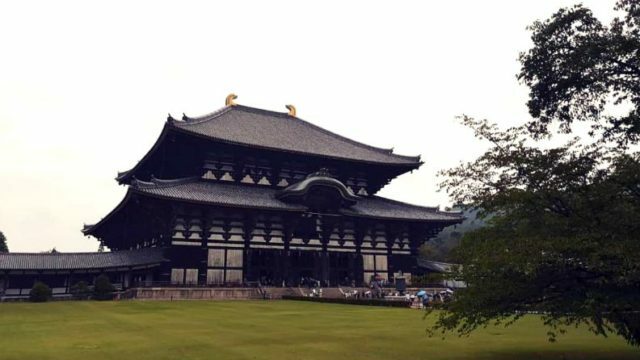 The entire area is situated in the Kanto region and a few hours away from Tokyo. 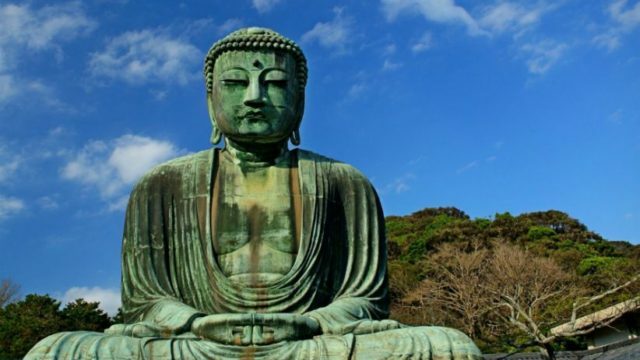 If you have plans of visiting this town, might as well consider a few of the best things to do in Kusatsu during your stay. These are all worth your time, money, and energy! 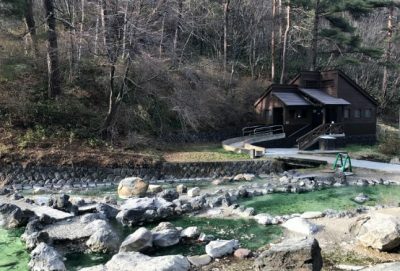 Kusatsu’s heart and soul is centered around Yubatake, and it’s such an interesting place to watch the super hot sulphur-smelling waters flow down from the active Mt Shirane. Viewing at night is great as the steam from the cooler evening and if you have rain (like we did) makes for a great picture. Interesting fact is that you can dip your toes in the foot baths surrounding Yubatake, and visit the Yumomi show next door. Also – check out the dates and names of all the dignitaries who visited over the years – fun to take a pic and then look them up to see who these folks were. 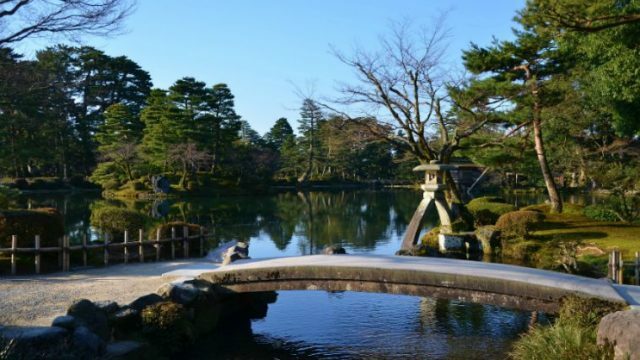 Sainokawara Park is a wonderful place to start your walking tour of Kusatsu. It starts at the Art Museum and no cars are allowed to enter. Therefore, you can enjoy a walk without worrying about the vehicles. 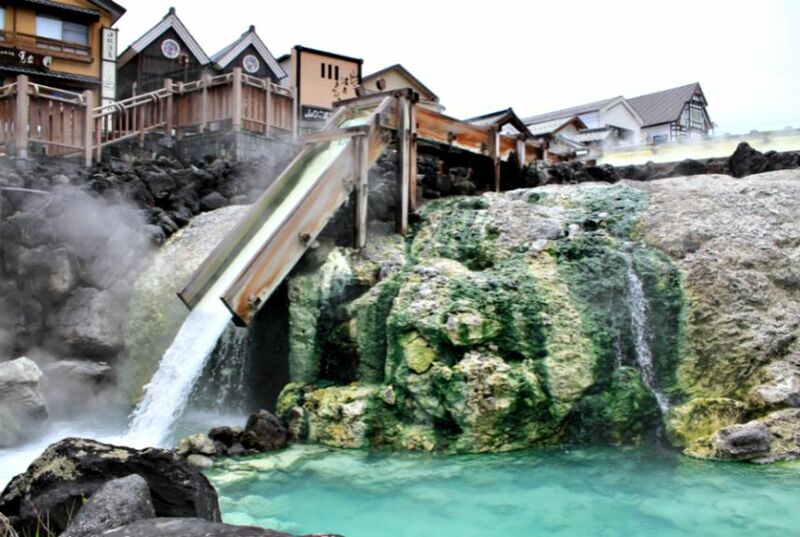 There are foot baths, nature visitor center and wonderful open air hot spring bath run by the town of Kusatsu. If you wish you can keep walking and it leads to many different hiking trails. At night there are lighting on the trail and you can walk up to the waterfall. You will need your own lighting to go beyond the waterfall at night. 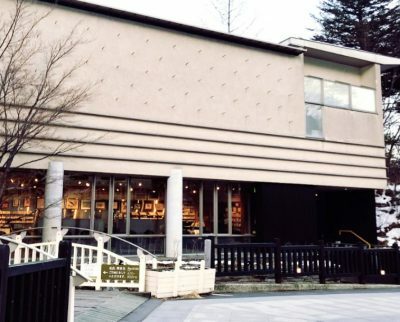 A small museum featuring an ex-comedian Tsurutaro who spent over 30 years drawing in this region. This museum is one of four that he has had built to show his art work or what he has painted not what he collected. Mostly modern style but of traditional themes. The museum is a bit pricy (about ￥1,000 each) but the small collection is very good quality. Also, a lovely coffee bar in the gift shop that looks out on the path in order to people watch. For a small fee, you can be entertained with traditional song and dance that you can also participate after. 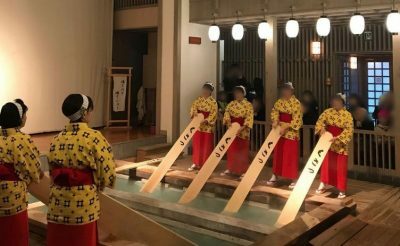 Although this is a relatively short “performance” of Kusatsu’s traditional method of stirring the hot spring water to cool it to bathing temperature, it’s interesting to watch and includes an audience participation segment, so if you’re game, you can try it for yourself. Wielding a 6-foot long plank in such hot water is not as easy as it looks! The show begins with an historical video (with English subtitles) and also offers a description you can listen to via your smartphone in 4 languages.